The main reception area of the upper tower. 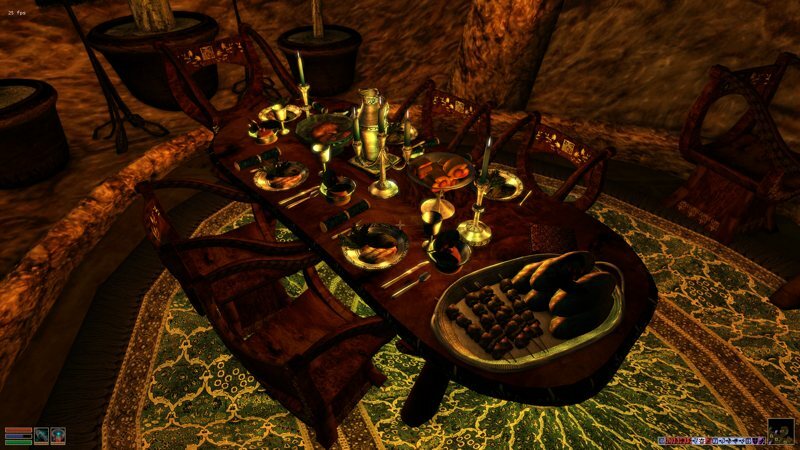 Your magnificent throne room, so you may hold court over your citizens and sentence them to horrible fates. 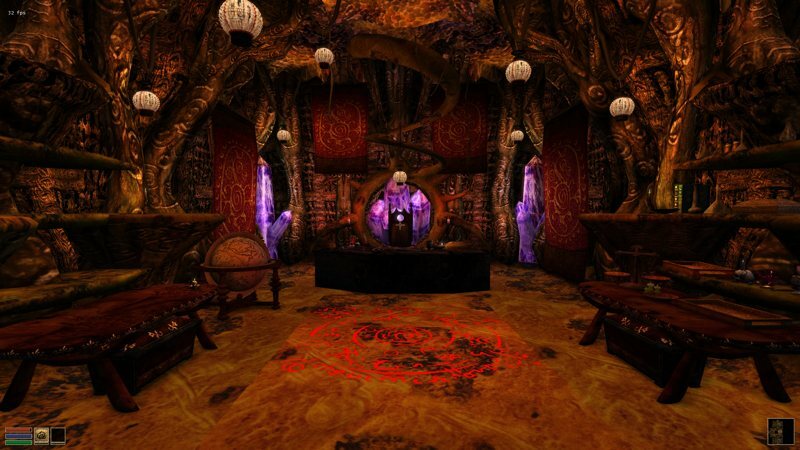 The secret lab is where you’ll find all the magical artifacts you’ve acquired. Uvirith’s Legacy 3 improves the look of the potion rack in the (new) alchemy wing. The scroll library in the inscription wing is a handy way to organize your scrolls. 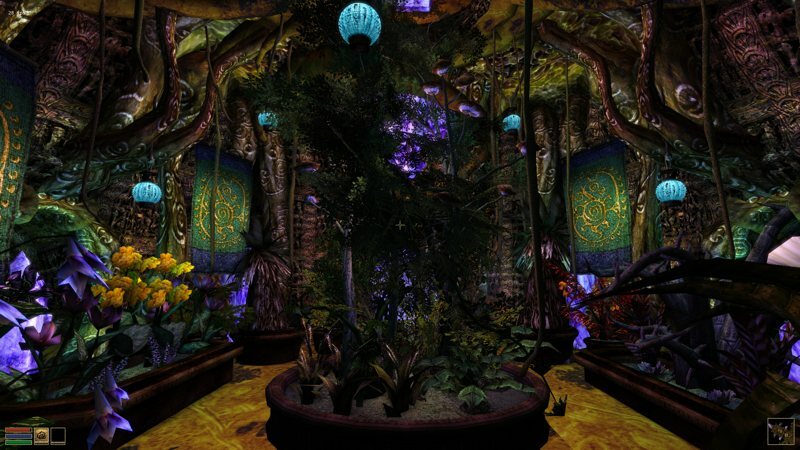 The alchemy garden adds a relaxing atmosphere to the tower. This refreshing spring can replenish your magicka. The fourth turret houses a rich recreation room. The second floor of the guest turret has a cozy bed chamber. 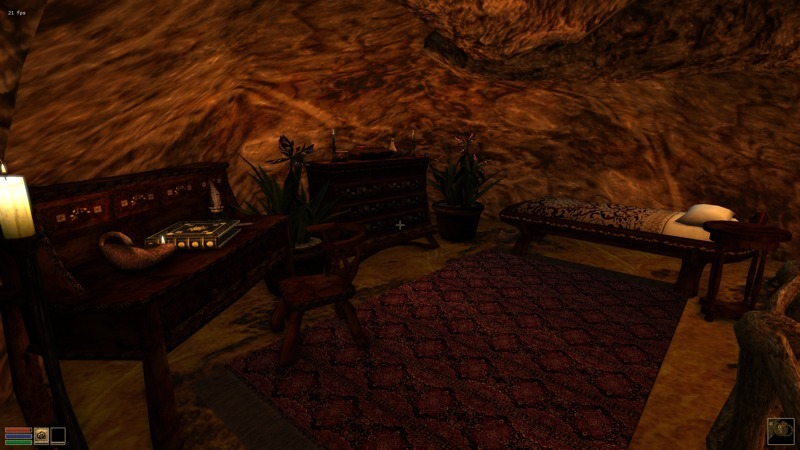 In Uvirith’s Legacy 3, you can customize your bed and rugs in-game. Your tower cook can provide you with all you see here. Discover secrets areas around your tower. You will need the tower key to access some of these features. 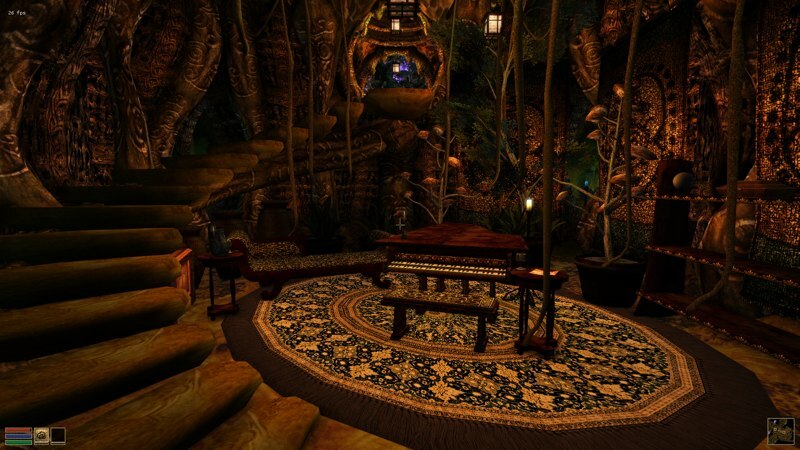 Not all secret passage switches are obvious, so you may have to hunt around. A full list of switch locations is found on the first page of the Guide. Use the tower key on the elevator switch to reveal the door at the bottom of the levitation shaft. 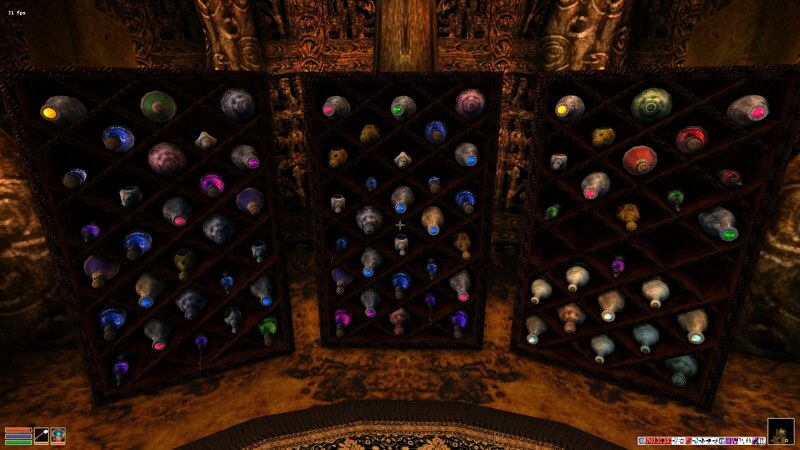 The lab has changed drastically from Uvirith Inside, but all original tower goodies, such as the alchemy sorter and bag of holding, are still there. I’ve added new items and overhauled the original scripts so they run better. More information is available in the special items section. The lab is now in its own cell and expanded. You’ll find all the inscription equipment in the left wing, and alchemy equipment in the right (once they’re made accessible). The potion sorter has been given a visual upgrade, and a new scroll sorter has been added to the inscription wing. 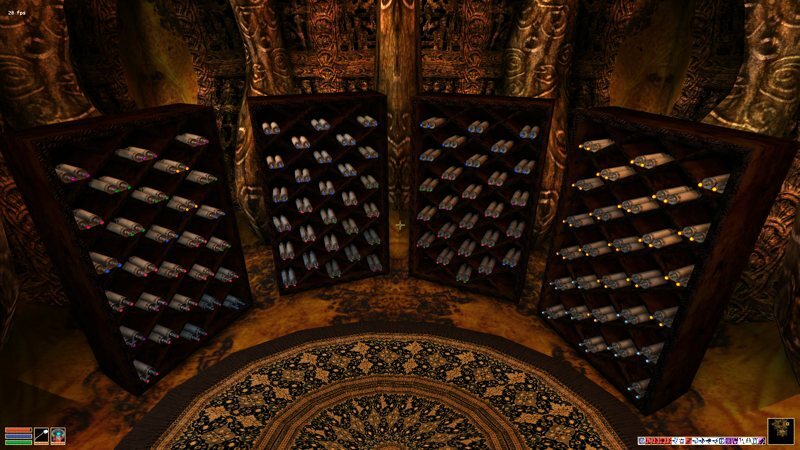 While overhauling everything to do with inscription, I added more Telvanni shelving to the lab and a new throne. I’ve upgraded the secret entrance to the tower lab into a fully functional lift. The lift travels between all four floors (secret lab, main floor, second floor, and throne room/upper entrance), accessed by panel switches on each floor. You must have the tower key on hand to use it. Note: you can clear the shaft for levitation by sending it to the lowest floor. 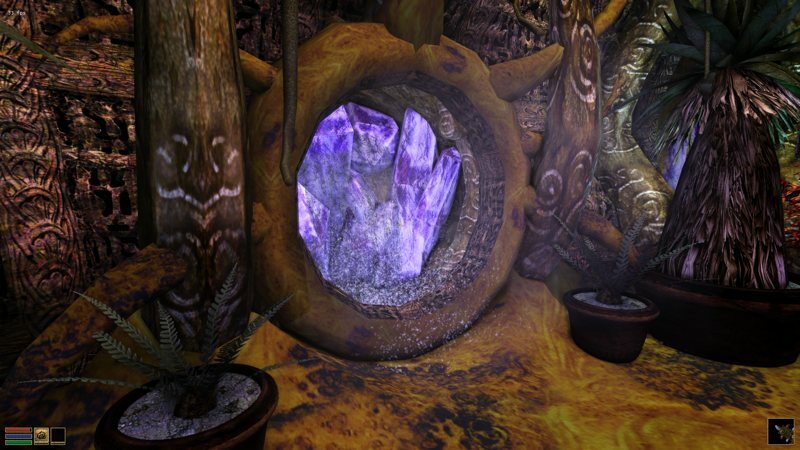 The teleportation platform is openly accessible on the second floor of the shaft as of Uvirith’s Legacy 3.0. A mainland teleportation platform will be built at the bottom of the shaft if you complete the quest in the Tamriel Rebuilt add-on. 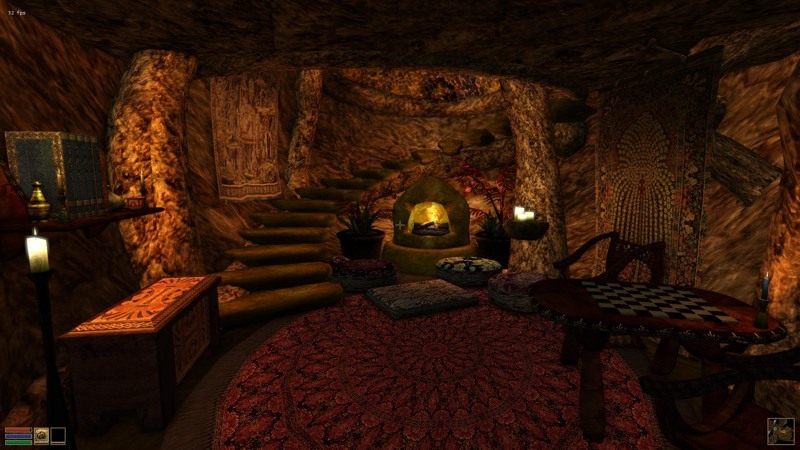 A comfortable retreat for the busy mage lord, the fourth turret includes a fireplace, cushions and chairs, a game table, and a cozy guest bedroom upstairs. I’ve kept this area simple to retain the tower’s original flavor, fitting in with the bedroom and dining room. An additional add-on places a working chessboard here, modified from Soralis’ Chess 1.3. The fourth turret also has its counterpart outside, so it makes a small change to the exterior. I have checked compatibility with all the exterior mods I know of, and it doesn’t seem to conflict. It is in the exact position as the fourth turret in BuUG, so it will not interfere with Building up Uvirith’s Legacy. Located in the upper tower, just up the stairs, this garden has plants for harvesting and a magical waterfall. You need a special goblet, found in the lab, to drink from the magicka spring. Available once you become Archmagister and build the vault. You can even hold court here during a couple quests. 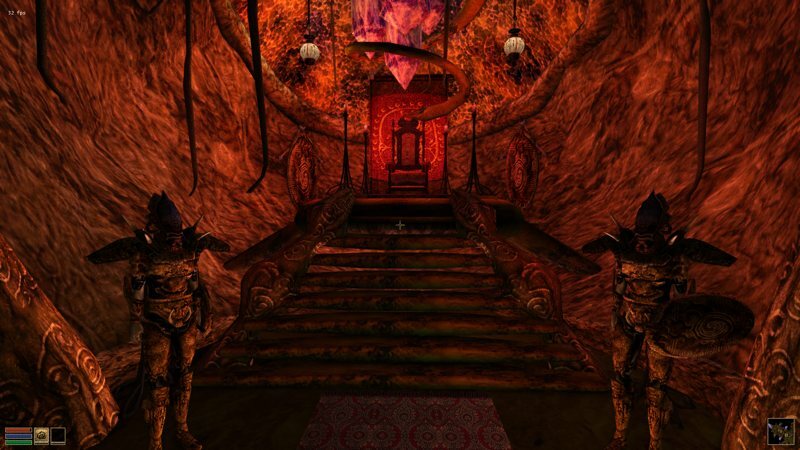 Below the throne room, in the levitation shaft, is a set of hidden treasure alcoves. A second switch on second level shaft entrance opens these. As of Uvirith’s Legacy 3.0, you can change all the rugs in the upper tower and your bed covers in-game. You can ask your servant Meiree to change the bed or grab the covers yourself from the cellar in the servant’s quarters. Rugs are changed through a rug order form, located in the storage room. Changing the rugs takes time and costs money. The money is placed in the storage strongbox, so if you remove those funds, your order is cancelled. You can either wait a week for the carpet layers to come, or pay extra to get them changed the next day.